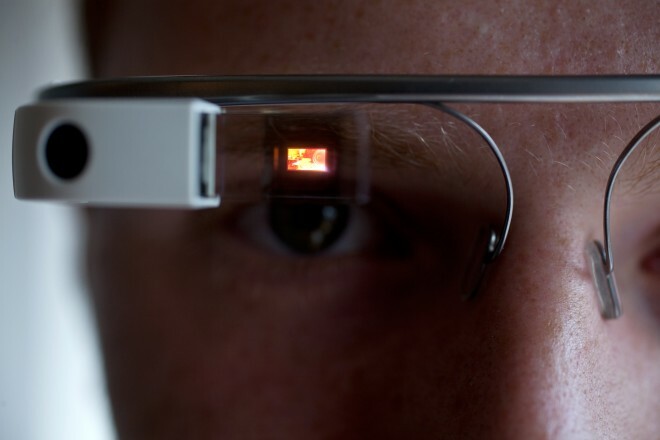 As you slip on the Google Glass frames — placing them carefully over your own eyeglasses — you’re told they can read the emotions of the people around you. You peer through the frames, focusing on the tiny digital display hovering in the air, and just beyond the display, there’s a face looking back at you, smiling about as wide as it can smile. But the payoff doesn’t come. Though the face is less than a foot away, Glass doesn’t read the happiness. “Neutral,” the display says. As it turns out, the problem isn’t the computerized eyewear. It’s you. You’re so focused on the hovering display, you’re not looking at the smiling face. When you turn slightly, gazing straight at that smile, the display responds. “Happy,” it says. And when the face changes, dropping the smile for a wide-eyed, wide-mouthed look of shock, the display changes too. “Surprise,” it says. These Google Glass frames run an experimental application cooked up by the person you’re looking at — the guy who keeps moving from happiness to surprise and back again. His name is Catalin Voss, and he’s all of 18 years old. At 15, after catching the eye of computer science legend Steve Capps, Voss was commuting between Heidelberg, Germany and California to build mobile applications for a Silicon Valley startup called PayNearMe. Now, two months removed from his freshman year at Stanford University in Palo Alto, he’s fashioning a Silicon Valley startup of his own, a company that seeks to remake education using software that tracks facial expressions and body language. Known as Sension, the company envisions a world where online teaching tools instantly respond to your behavior — where, for example, you’re hit with a quiz question when your attention drifts from a lecture video — but this fledgling venture also harbors much loftier goals. 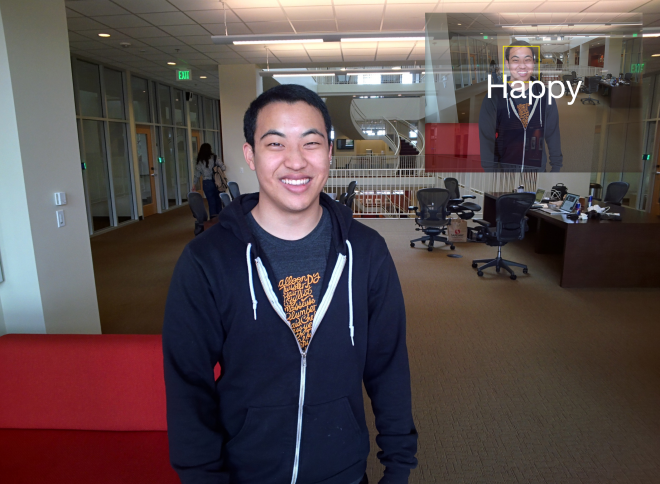 With help from Google Glass, Voss and his co-founder, Jonathan Yan, hope to create a face-tracking engine that can help people to better recognize and understand the expressions and emotions of others. The tool would be a natural for treating autism and related disorders, another Google Glass project that provides more than just frivolous digital toys. To turn that lofty goal into reality, Voss and Yan have assembled a team of Stanford graduate students to help them build the Sension engine. They’ve already received a grant from venture capital outfit Highland Capital Partners. And many psychiatrists, including some who have advised the company, believe this is a goal worth pursuing. Catalin Voss says his life changed when Apple unveiled the iPhone in 2007. Just 11 at the time, he was soon building and selling countless iPhone apps in his native Germany, and by 2011, he’d tracked down Capps — one of the founding fathers of two other seminal Apple machines: the Macintosh and the Newton — and nabbed that mobile coding job with PayNearMe, Capps’ current startup. The arrival of Google Glass took this vision in a new direction, and the company soon won a spot in this year’s Summer@Highland program — a mini startup incubator just for university students run by the VC firm Highland Capital Partners. With their $18,000 grant, they started hiring new coders, including a few Stanford graduate students who could just as easily taught them classes in the coming semester. One prospective hire, a graduate student who specialized in computer vision, asked Steve Capps if he should really take a job with an 18-year-old freshman, and Capps reassured him. In other words, he’s a coder with more people skills than the stereotype suggests. When you first meet him, you realize he’s young, but you don’t realize how young. And even, in mid-conversation, when he does look at your shoes — or gazes at the wall, above your head — it’s more endearing than awkward. And it somehow seems appropriate for someone trying to teach people to better understand how to interact with others. With a cousin who’s autistic, he has one foot in that world. The trouble, as Derek Ott explains, is that teaching people to recognize social cues is only half the battle. You must still teach them how to respond to those cues. And then there’s the more obvious problem. Sension may help you relate to other people, but when you’re wearing Google Glass, they may have trouble relating to you. 1Mindflash, of Palo Alto, is the online education company that’s using the Sension platform. The company announced its new tool on Tuesday.